I don't know what's with the color red that I like it so much. If you know, please tell me because I was in red ... including my nails (!) last August 08, 2010. Wednesday. Manor Superclub. Eastwood City will be awarding the winners of their promo 20 Reasons to Love Eastwood. 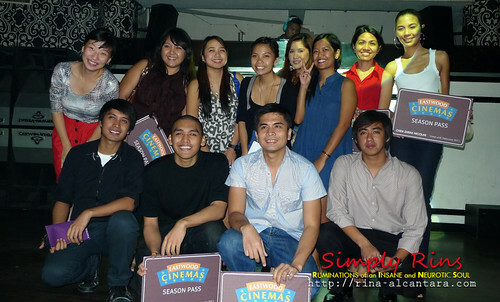 The contest was posted on Eastwood City's Facebook Page last June 24, 2010. It was to show their appreciation to their fans. Various entries were submitted in forms of collage, video, poems, etc. It challenges each participant to be creative in their entries. I submitted a comic type blog entry entitled Potpot Loves Eastwood City and I'm one of the winners who won the season pass to Eastwood Cinemas. I'm excited to use it! The season pass is valid for 6 months and is good for 2 tickets to all our cinemas including Ultra 7 Cinema! Woohoo! The pass would take a few weeks to process so I received a huge card to represent the prize. I'm all smiles! 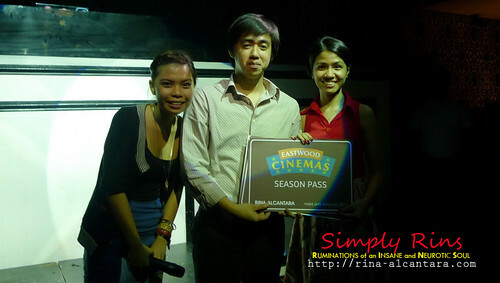 Among the other winners of the Eastwood Promo. Too bad the other winners left early. It was a weekday and most of them have work or school the following day. As a movie fanatic, this prize means a lot to me. Babaw noh? So I invited my closest friends to join me during the awarding party. We were about to leave when my partner took this photo of me with my friends. Thank you for coming even though we all had work the following day. And of course, thank you to my partner whom I spend most of my movie gimiks with. In a few weeks, we will be frequenting Eastwood cinemas! 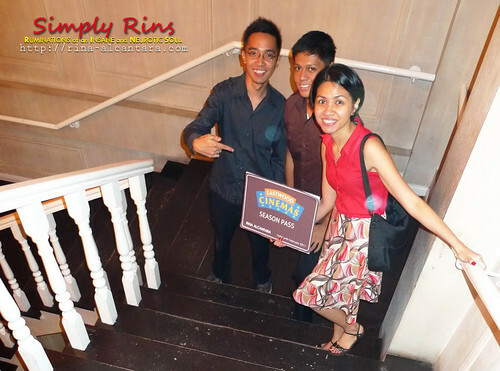 I'd like to thank Eastwood City for selecting my entry as one of the winners of your contest. You made this girl really happy and totally excited! Hoping to get the season pass soon! 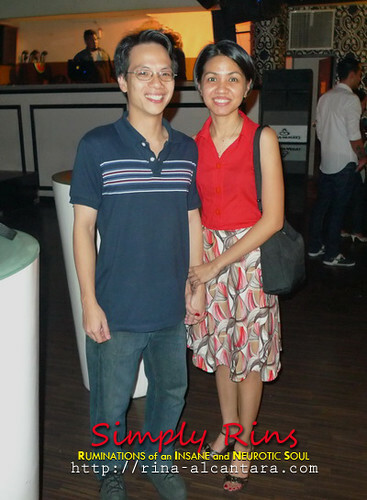 To view all the other winning entries, please visit Eastwood City's Notes. Hello Rina you have a very good blog that the main thing a lot of interesting and beautiful. I rally like it & shared with my friends! hope u go for this website to increase visitor.